It has been the largest arctic cold outbreak in two years. 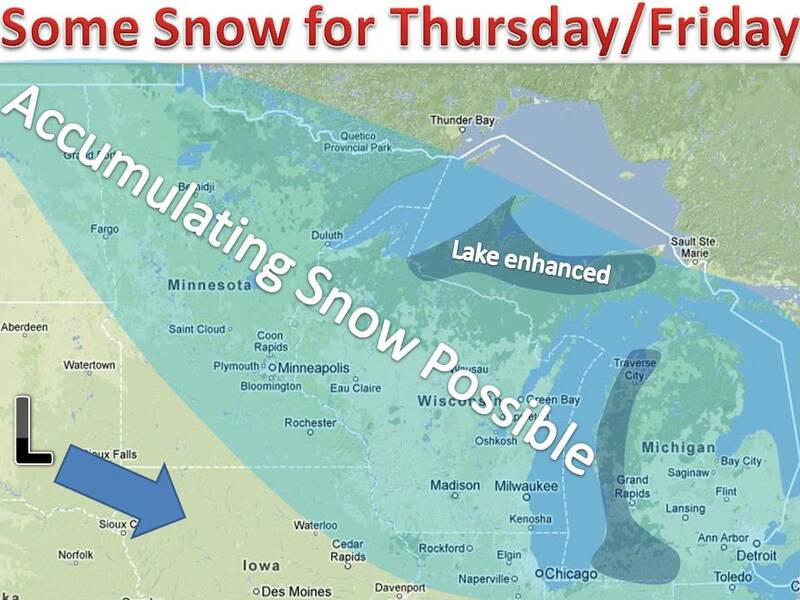 Some snow is headed for the Midwest late in the week. A northern piece of energy will emerge from the Rockies and phase with a southern storm system. Depending on how quickly the phase together will have a major impact on the amount of snow. 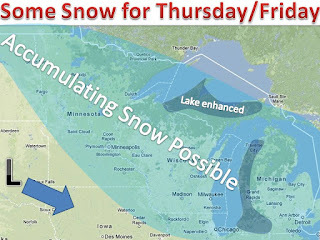 Right now the consensus in computer models would put down a general 1-3" with areas up to 4", and lake enhanced areas over 6". Another system will move in for Sunday, this one looks a little stronger and will be watched carefully.